Remember making dioramas in school? Now imagine similarly dramatic scenes set amongst living foliage. 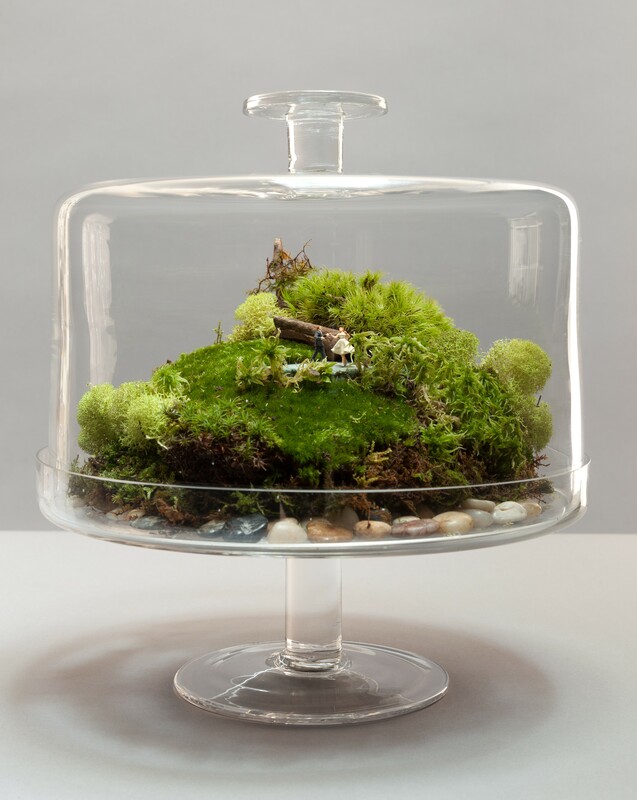 That’s what is so inspiring about Tiny World Terrariums: A Step-by-Step Guide to Easily Contained Life . For those of us into tiny enhanced versions of reality this is crazy fun. The book provides all the necessary instructions to create successfully healthy terrariums using mosses, succulents, and other appropriately-sized plants. But illustrations are the real delight. They show all sorts of tiny world photos labeled with container types, plant names, and more so you can more easily create contained life exactly as you envision it. It’s entirely the fault of the authors that I got online immediately after flipping through the book and bought eighty-seven dollars worth of miniature railway figures to populate terrariums I’ll be making. If you decide to head in the railway figure direction here’s a hint. If you’re using a small container (say pint or less) use N scale . Larger, you’ll want HO scale . You can incorporate any other miniatures you choose including tiny vehicles, toys, game figures, as well as natural items such as stones and twigs. Right now, before my railway figures get here, I’m getting together materials for my first terrarium. 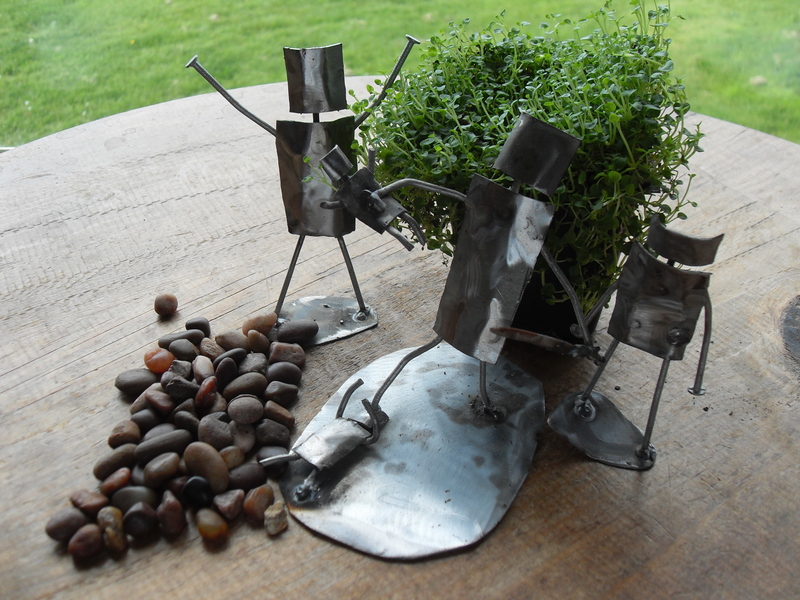 Those gleaming knights were made by my son as he taught himself brazing. They seemed so tiny on my dresser, but soon they will rule their own world. I swear they already look more more valiant.